Reduced hardware and engineering costs through new generation of safety controllers With its focus on increased modularity and scalability, the new generation of Beckhoff safety controllers allows optimum adaptation to the specific safety requirements of individual machine concepts. 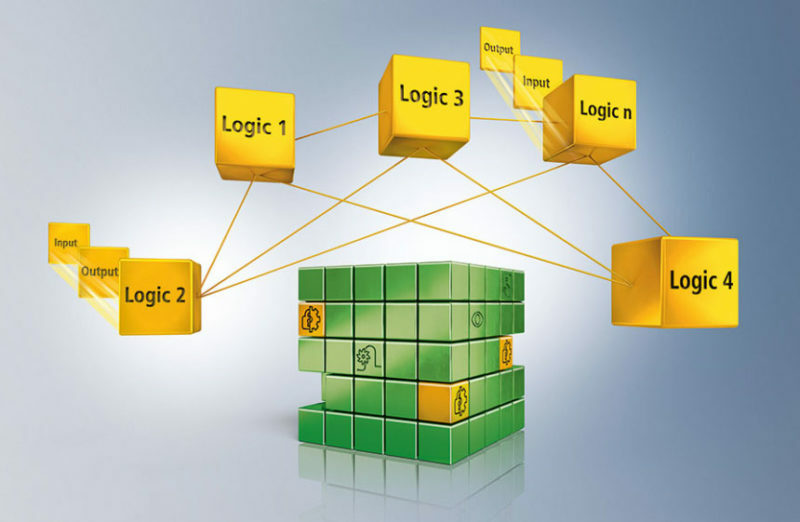 The ability to distribute the intelligence of an entire safety application across multiple TwinSAFE Logic-capable I/O modules enables the flexible implementation of increasingly modular architectures that can be adapted to given system requirements even more effectively than before. TwinSAFE EtherCAT Box EP1957-0022: IP 67-protected digital combi module with eight safe inputs and four safe outputs. Just like the TwinSAFE Logic-capable I/O and motion products that are already available, the three new I/O modules can be used as controllers for the direct execution of customer-specific safety projects. A special feature is their communication capability, because like a dedicated controller, the safety project to be executed on the corresponding I/O component can establish direct communication relationships with other safety-relevant devices and preprocess the data internally. This makes it possible to implement highly granular machine modules with distributed safety applications. The central safety controller, if it exists in the application scenario, only needs to process the data that has already been accumulated. The consistent hardware and software modularity of the TwinSAFE system simplifies the implementation of even very complex safety applications, and the combination of I/O and TwinSAFE control functionalities in a single I/O component makes it easier to distribute safety tasks across individual machine modules. It also reduces hardware costs. In terms of engineering, the customizing function speeds up the process and makes it more convenient. It also ensures minimum validation effort, which in turn further reduces the development costs. Safety projects can be modularly designed in TwinCAT as usual. However, with the new customizing function, the operating modes “temporary deactivation”, “permanent deactivation” and “passivation” can now be configured for each of these modules. With the corresponding configuration of replacement values for the interfaces between the different modules, users can thus implement highly complex, modular and scalable architectures while reducing their development costs. For example, a single safety project can be used for an entire family of machines by simply deactivating any modules that may not be needed according to the given requirements.